"Unfortunately, we're unable to provide anything in connection with this matter," DOJ spokesman Charles Miller wrote in response to a query Aug. 16. He did not contest the existence of the settlement with the Islamic Investment Company of the Gulf (IICG). 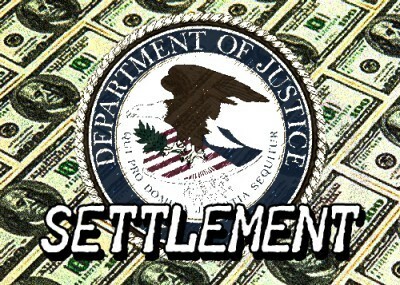 Repeated attempts to obtain the settlement, or at least a clear explanation of why it cannot be released when most government settlements are a part of the public record, have been unsuccessful. "We will have no further comment," Miller said Wednesday. Reports of a grand jury investigation into an IICG domestic affiliate called Overland Capital surfaced early in 2007. Though the grand jury was convened in Boston in September 2006, a terror-financing prosecutor from DOJ was leading the tax evasion probe into the bank, the Wall Street Journal reported. Overland Capital allegedly was controlled by the Dar al-Maal al-Islami Trust (DMI), an Islamic financial institution founded by Saudi Prince Mohamed al-Faisal and which had at least two influential Muslim Brotherhood figures on its board, the Journal reported. It described DMI as "the hub of a network of banks and investment funds across Europe and the Middle East that cater to Muslims interested in strictly following Quranic principles, such as a ban on collecting interest." It cited records showing DMI held "an indirect 60 percent" share in Overland Capital. The IICG, meanwhile, is a "wholly owned subsidiary" of DMI Trust, according to the Faysal Asset Management Limited website. IICG has operations on four continents and managed $1.6 billion in funds in December 2007. Saudi Prince Mohamed al-Faisal founded DMI Trust nearly 30 years ago, the Journal reported. He remains on its board, along with serving on the boards of Faisal Islamic banks in Sudan and Egypt. DMI has had ties to the Muslim Brotherhood, with at least two of the movement's contemporary figures serving on its board. Sudanese Brotherhood figure Hassan al-Turabi spent 10 years as a DMI director during the 1980s and early 90s, the New York Times reported in August 2007. During the same time he was a director, Turabi urged Osama bin Laden to move al-Qaida to Sudan, the 9/11 Commission Report said. Brotherhood spiritual leader Yusuf al-Qaradawi also served as an early DMI Trust advisor, the Times reported. Though labeled a moderate by some, Qaradawi has a long record of anti-Semitism, support for Palestinian suicide bombings and attacks on U.S. troops in Iraq, and recently expressed his desire to kill a Jew before he dies. "[D]isclosure of the contents of his testimony would substantially prejudice the pending criminal investigation," Judge Means wrote. "Additionally," the judge wrote citing the sealed government motion, "while IICGB has not been indicted, the 'investigation has been ongoing for nearly four years[,] has continued to progress[,] and is nearing a conclusion.'" In January, after DMI sought another discovery freeze in the civil suit, DOJ prosecutor Corey Smith wrote that, while the government requested the earlier stay, it did not need additional time. "The Motion also accurately represents my comment that I believe a settlement of the Criminal Case with [IICG] criminal counsel is likely in the very near future."